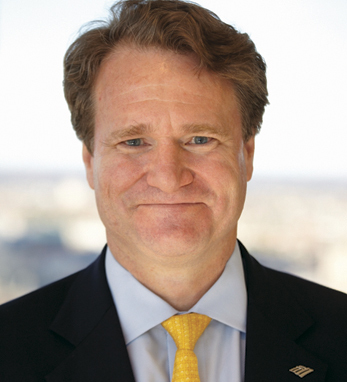 Brian T. Moynihan is president and CEO of Bank of America. He was elected by the board of directors and took office on January 1, 2010. Brian is a member of the BofA board of directors. Brian joined Bank of America in 2004 after the company’s merger with FleetBoston Financial, serving as president of Global Wealth and Investment Management. He joined Fleet in 1993 as deputy general counsel. Brian is a graduate of Brown University and the University of Notre Dame Law School. He is on the boards of directors of YouthBuild Boston and the Boys and Girls Clubs of Boston. Brian is a former chairman of the Travelers Aid Society of Rhode Island and Providence Haitian Project, Inc.